Metropolitan Jerome is a Western Orthodox hierarch, Metropolitan Archbishop of the Old Roman Catholic Western Orthodox Church in Europe maintaining the tradition and polity of the “Act of Union” between the Old Roman Catholic Church and the Orthodox Church in 1911. Western Rite Orthodoxy or Western Orthodoxy or Orthodox Western Rite are terms used to describe congregations that are within Churches of Orthodox tradition but which use liturgies of Western or Latin origin rather than adopting Eastern liturgies such as the Divine Liturgy of St. John Chrysostom. While there are some ancient examples of Western Rite communities in areas predominantly using the Byzantine Rite before the Great Schism was fully consolidated (the Monastery of Saint Mary of the Latins, often referred to as Amalfi, is a common example), the history of the movement is often considered to begin in the nineteenth century. Old Roman Catholicism or Old Catholicism as it later came to be called, refers to the movement derived from the original See of Utrecht founded by St Willibrord in the Netherlands, that refused to surrender its acknowledged and historical canonical privileges in the face of increased centralisation of power by the Bishops of Rome from the 17C onwards. Preserving intact the ancient expression of the Catholic and Apostolic Faith as it had always been believed in the West and expressed in the Latin Rite, the Old Roman Catholic Church in the Netherlands soon drew other disaffected Western Catholics to itself who could not abide the erroneous dogmas that the later 19C Popes were imposing upon the Latin Church. In the Nineteenth Century, when the Papal claims of supremacy culminated in the novel doctrine of “papal infallibility,” the Orthodox Church was approached by Western Catholics seeking the apostolic unity of the ancient, unchanging Orthodox Faith wherein the Bishop of Rome would be considered to have primacy of honour. They would utilise their own familiar and theologically Orthodox liturgical forms, while coincidentally restoring the Western liturgy to the Orthodox Church. The Holy Synod of Moscow responded by approving the restored form of the Western Liturgy, the ancient Liturgy of St. Gregory the Great (the oldest Orthodox liturgy of the undivided Church still in use) presented in 1870 by Julian Joseph Overbeck (a former Roman Catholic priest) who hoped to establish an Orthodox Western Rite in England. By 1876, Overbeck appealed to other Orthodox Churches for their recognition of his plan. In 1879 he was received in audience by the Patriarch Joachim III of Constantinople, who recognized the theoretical right of Western Christians to have a Western Orthodox Church. Three years later, Joachim III and the Synod of the Ecumenical Patriarchate conditionally approved Overbeck’s Western rite and Benedictine offices. However, Overbeck’s efforts ultimately did not result in the establishment of a Western Orthodoxy in his lifetime. Overbeck had attempted to encourage Old Roman Catholics to his scheme, especially after the First Vatican Council’s dogmatic definition of Papal infallibility, but with little success. However, just a few years after his death, the Old Catholic mission in Great Britain under Archbishop Arnold Harris Mathew was to realise Overbeck’s vision after declaring independence from Utrecht over protestansising influences. The balance was struck involving the Eastern and Western traditions of Orthodoxy. The Patriarch of Antioch received the former members of the Old Roman Catholic Church of Utrecht, and later established a Western Rite Vicariate in North America. The Orthodox Church reclaimed from the Latin Rite what was rightfully hers. On August 5th, 1911, a conference took place in Bredon’s Norton, Worcestershire, attended by Metropolitan Gerassimos Messarra, Archbishop of Beirut, Legate of the Greek Orthodox Patriarchate of Antioch and all the East together with Archbishop Arnold Harris Mathew and others in Great Britain. After a long and full discussion, the faith of the Old Roman Catholic Church under Archbishop Mathew was considered in full accord with that of the Eastern Orthodox Church. Archbishop Mathew was then solemnly received by Mgr Messarra on behalf of Patriarch Gregory IV (Haddad) and the Old Roman Catholic Western Orthodox Church into union with the Greek Orthodox Patriarchate of Antioch and all the East as an autocephalous i.e. self-ruling jurisdiction of the Holy Synod. On February 26th, 1912, His Holiness, Photius, Pope and Greek Orthodox Patriarch of Alexandria also accepted and recognised this union. The Church of Antioch was established by the Apostles Paul and Barnabas in 42 A.D., with St. Peter serving for the next eight years as its first prelate. The Church of Antioch is one of the five ancient Patriarchates of the Christian Church, along with Alexandria, Constantinople, Jerusalem, and Rome. Many of the great saints of the Church, including St. Ignatius and St. John Chrysostom, have come from Antioch. Today the Antiochian Patriarchate has endured despite centuries of oppression, and shepherds over half a million Christians in Syria, Lebanon and other countries in the Middle East along with communities throughout the Americas, Australia and Europe. Regrettably, through the machinations of individuals and the disruptive realities of two World Wars the relationship between the Old Roman Catholic Western Orthodox Church with the Greek Orthodox Church effectively lapsed, though there has never been issued an official refutation nor canonical disavowal of the intercommunion. Recent investigations with the Patriarchate of Antioch have confirmed that which has been stated anecdotally by several Antiochian priests (converts from Anglicanism) in England to Old Roman Catholic prelates that the reason why a Western Orthodox Rite was refused to them following the ordination of women in the Church of England (1992) was due to the technical extant status of such a rite in the Old Roman Catholic Church. So it was that after the centenary of the historic “Act of Union” in 2011, orthodox Old Roman Catholic prelates began to work upon the reaffirmation of the Church’s Western Orthodox position. Based on historical facts as described above, joint holy Synods determined to accept and embrace the historical situation without prejudice to the continuation of the Latin Rite tradition of Ultrajectine forbears, noting that Archbishop Mathew’s reception into Orthodoxy did not require any refutation of doctrine nor dogma, nor indeed the validity of holy Orders and sacraments, nor of the Latin liturgy of the Old Roman Catholic Church [“Root and Branch” p.75 quoting from “Bishop Mathew and the Orthodox” by Mar Seraphim, The Glastonbury Bulletin 67 (May 1984) pp.197-206 in turn quoting from the letter of Pope Photios of Alexandria to +Mathew in February, 1912]. Discussions were begun and continue both with Patriarchal and other Orthodox ecclesial communities to re-establish the canonical reality that all sides agree, essentially still pertains to the Old Roman Catholic Western Orthodox Church. 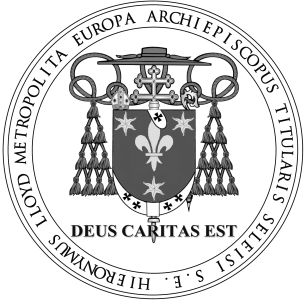 The “Dogmatic” and “Organic” Articles agreed between Archbishop Messarra and Archbishop Mathew on August 11, 1911 in no way detract from the classical Latin Rite understanding of the Catholic and Apostolic faith as taught and expressed in the Catechisms of the Latin West until the effective annexation by Pius IX of the Church in Holland in 1853. Thus both in terms of “right-belief” and in recognition of historical facts the Old Roman Catholic Church may justifiably refer to itself as “Orthodox” in every sense of the term. The Orthodox Old Roman Catholic (Western Orthodox) Communion thus considers itself ultimately under the Patriarch of Antioch and all the East: St. Peter’s Chair, His Holiness John X of Syria presiding; as affirmed by the joint Holy Synod of Old Roman Catholic jurisdictions in Europe, 2014 and in Chicago 2017. We are in spiritual union with His All Holiness Patriarch Bartholomew of Constantinople the New Rome, with the Moscow Patriarchate and with all the Canonical Sees of the Holy Orthodox Catholic Church.